This annual exhibition will feature some of the top landscape artists working in the Southern art world: Al Allen, Gay Bechtelheimer, Thomas Hart Benton, Darrell Berry, Mark Blaney, Carroll Cloar, William Dunlap, Charles Harrington, Dolores Justus, Edward Rice, Steven Schneider, Kendall Stallings, Rebecca Thompson, Diane Williams, & introducing Stephen Scott Young. Greg Thompson Fine Art is pleased to be showcasing three important watercolors by world renown Southern artist Stephen Scott Young. 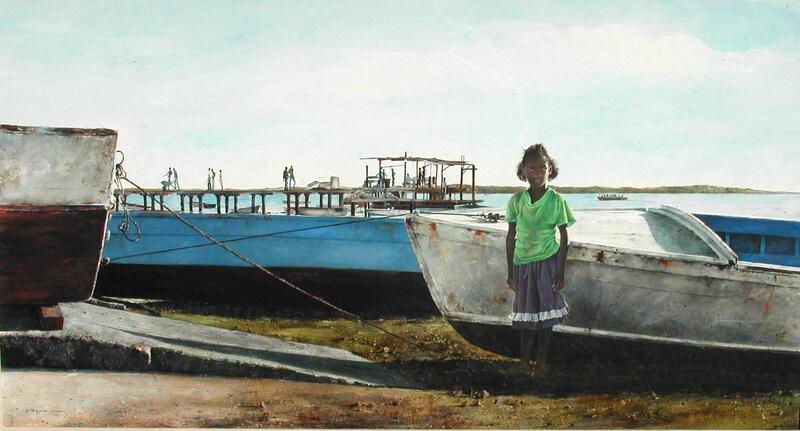 Young is an American artist best known for his watercolor paintings that depict everyday life on the east coast of the United States, Florida and Out Islands of The Bahamas. Often painting genre scenes of quotidian life, Young’s work is noted for his strikingly realist use of watercolor and eloquent simplicity of subject matter done in the American realist tradition of Andrew Wyeth, Whistler and Winslow Homer. Collectors of note include Stephen Spielberg, the Kemper Museum of Contemporary Art, the Cleveland Museum of Art and the Greenville County Museum of Art.